In 1991 an amendment to the Israeli Companies Act was enacted, which allowed companies to insure their D&Os. In 1993 less than 15 claims were notified to Insurers under the D&Os’ liability policies. In 2017 there were about 520 D&O claims in Israel notified under D&O policies, out of which app. 5% were liquidators/ special managers claims filed against D&Os. According to the Companies Act the liquidators/special managers have a right to interrogate the officers of the company even before filing any claim against them. The purpose of the interrogation is to find out the reasons which led to the collapse of the company. Following such interrogation the Liquidator may instigate proceedings against the parties liable for the collapse. Such proceedings may be instigated either by way of a Motion for Instructions filed to the Insolvency Court or as a regular civil claim. Usually the liquidator will prefer the Insolvency Court and will make every effort to litigate the claim in this Court. The reason for that is that the Insolvency Court tends to look after the interests of the creditors as its primary concern and will subsequently be more lenient with the liquidators. In addition, in a regular civil claim the liquidators are required to pay Court fees (2.5% of the claim amount) while they are exempted from payment of Court fees in the Insolvency Court. As a result, the amount claimed in the Insolvency Court is substantially higher. The liquidators’ fees are calculated as a percentage from the amount of money the Liquidator manages to collect from all sources including the compensation eventually paid by the defendants in a D&O claim, i.e. in the liquidator’s views the D&O policy as a source for recovery. Hence he will do his utmost to prove that the D&Os’ negligence was the main reason for the collapse of the company. In the recent years we have encountered an additional phenomenon whereby the liquidators adjoin the D&O Insurer as a defendant to the proceedings. 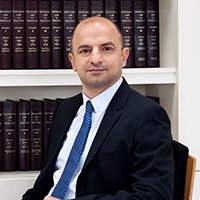 This direct claim against the Insurer is possible in view of the Israeli Insurance Contract Law which create a direct privity between third party and the Insurer of the alleged tortfeasor. In a recent judgement in which our office represented the D&O Insurer (Shemueli v. Menorah Insurance Co.), the liquidator instigated a claim based on a D&O policy which expired in 2002 (the policy was on a claims made basis). The liquidator was appointed approximately 10 years after the policy expired. The liquidator alleged that claims made basis should not be accepted in D&O Insurance as it exposes the D&Os to claims that may arise after the liquidation of the company, i.e. after the policy expired. The Court dismissed the claim stating that there is no basis to doubt the decision of the company’s D&O who purchased the specific policy in 2002. The Court concluded that there was no proof that the Directors were misled as to the basis of the policy (claims made) and their decision to purchase the policy took all considerations into account. This claim demonstrates the liquidators’ persistence in placing liability upon the D&O Insurers who are perceived as a deep pocket.